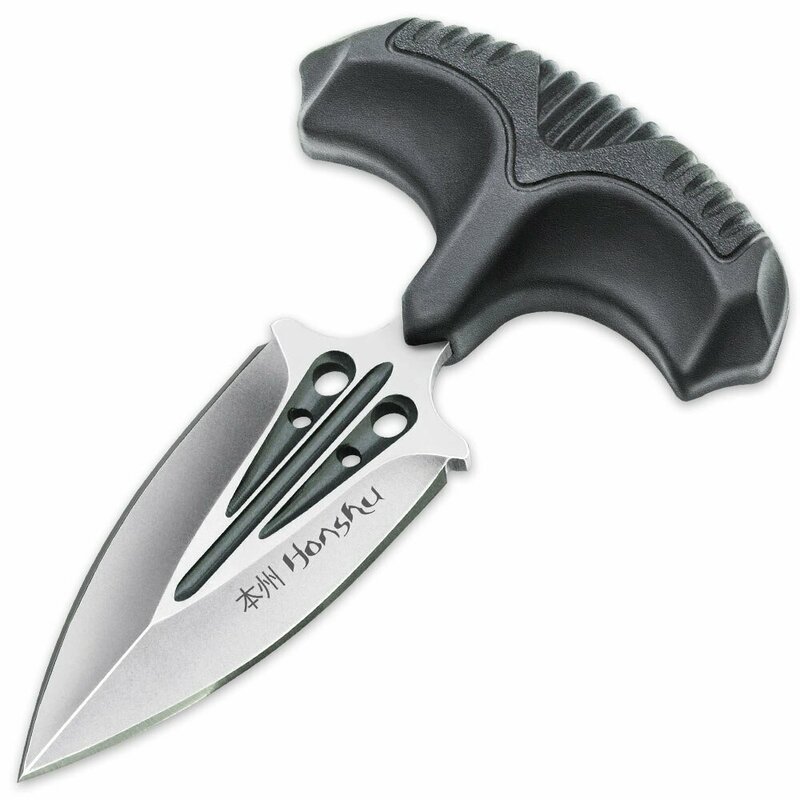 United Honshu Small Covert Defense Push Dagger(UC3251) Knives, throwing knives, fantasy knives, movie knives, tactical knives, hunting knives, etc. Ideal for covert personal protection, the Honshu Small Covert Defense Push Dagger is that extra measure of peace of mind that you’ve been looking for! The discreet self-defense dagger has a sharp 3 3/8” 7Cr13 stainless steel, satin finished blade with a deep pressed groove and through holes. The push handle is textured injection molded TPR rubber, which gives you the best possible grip. The blade slides into a leather sheath that has a quick release snap and features a nickel-plated steel boot clip. Let the Honshu Large Covert Defense Push Dagger back you up!